Kicking off the weekend, I was going to do a post about what will be coming up next week, (exciting things!) but that will just have to wait! A few days ago I was nominated for the Liebster Award by Jessica from The Petite Diaries and I'm beyond thankful! When I started this blog I never thought I would be reaching out to so many people. I made this blog for myself, and I just think it's so amazing that the blogging community is so open and friendly, and I love that I've met some great and supportive people through it. 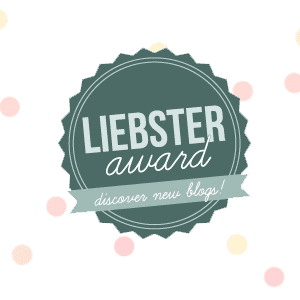 The Liebster Award is given to bloggers with under 200 followers on any individual social media platform from fellow bloggers. In order to accept the award, the nominator will provide 11 questions about you and your blog that you must answer. 1. How did you decide on the title of your blog? My blog was originally called That Collegiate Girl, and I basically took the fact that I am a girl in college and giving advice about college would be the topic of most of my posts. However, I wasn't in love with the name, and it just didn't feel right, so I switched to The Classic Brunette! I'm a natural brunette (even though when I started the blog I was a redhead, and still am because box dye doesn't want to give me my brown hair back just yet) and felt that I would classify my style as classic. I don't regularly go for trends, and my fashion sense is simple, but preppy. It felt like this new name really fit. 2. What made you decide to start your blog? I had a difficult time starting college last year, and I thought that my experiences and advice could be useful to someone else who was feeling the same things I was. For a long time, I was on the fence about making a fashion/beauty blog, and I felt like I could accomplish both a lifestyle/college and fashion/beauty in this blog. 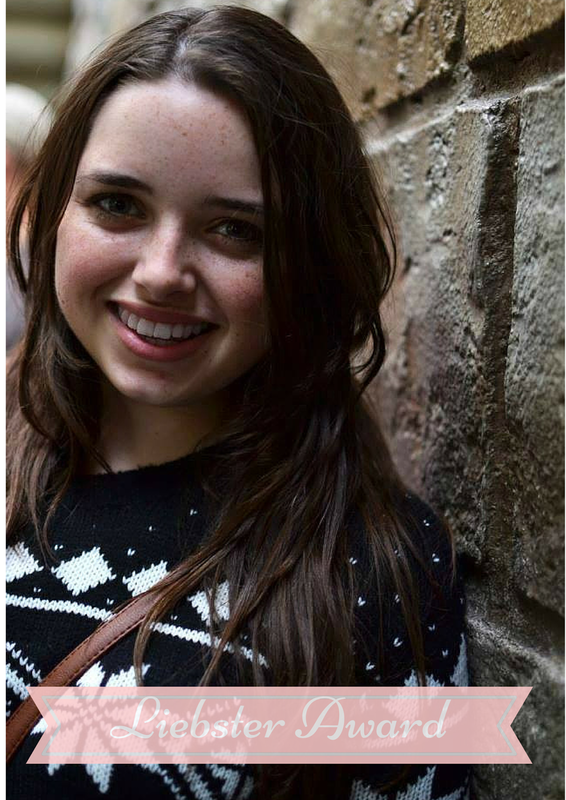 I had been reading Carly's (The College Prepster) blog all summer, and decided to go ahead and start it. Best decision! I would have to say the ham and cheese croissants from Copenhagen bakery in Burlingame, CA. It's right by my dad's work, and I've been eating them for years now. They're so simple, but so good!! I love them so much I even tried to recreate them here for you guys! 4. Where is your favorite place to shop? That's a tough one. But, because I am a cheap shopper, I'm going to have to say Forever 21. Some people say that their clothes fall apart fast, but I personally have never had that problem! I still have some clothes from there that have stayed in perfect shape for many many years! If I'm going on the more expensive side, I would say J.Crew though. I want to buy everything in there! 5. If you could travel anywhere in the world where would it be & why? I would probably go to my mom's old house in Portsmouth, England. She was born there and came to the US when she was eight, and I've never visited! She hasn't been back to England since she was in her twenties I believe, so I would love to go visit with her. 6. What's your favorite pastime other than blogging? Reading! I really do love to read, even though there isn't a lot of time for it while I'm in school. During the summer and winter breaks I get all my reading in! 7. What's your favorite post you've written & why? My favorite post I've written is Tips and Advice for Freshman Year because I put a lot of effort into it, and it's advice I truly want every college freshman to know. College is a difficult time because there are so many changes, and freshman year is probably the hardest year of them all. It's also my favorite because it means a lot to me on a personal level, and I hope it will help those who look at it. 8. A long lost relative gives you a large sum of money, what do you do with it? I would put a good amount of it in the bank, and then if it was a really huge amount of money I would use some to travel with my family. 9. What is your all time favorite movie? My favorite movie is definitely Bride Wars. It may not be the best movie of all time, but for some reason I really love it. It's cheesy, and romantic, and it has Anne Hathaway, and I've probably watched it a hundred times. 10. Where do you see your blog going in the next year? My blog is still very new, so even though I have big dreams for this blog, I think I'm just going to continue to write what I love, and hopefully others will continue to find my blog inspiring. I have a long list of posts planned for the future, and am excited to share them all with you guys. 11. Where does your blog inspiration come from? I find inspiration everywhere. From reading other blogs, from walking around town, even watching tv or movies! Mostly, my inspiration comes from what's going on in my life. Cristina from Cristina on Campus, Megan from Southern Charmed, Allie from Rush & Teal, Tiffany from Kitchen 512, and Jessie from The Cluttered Counter. Answer all 11 questions given to you, comment on this post with a link to your answers so I can read them, in your post be sure to link back to the person that nominated you, & nominate up to 10 other bloggers for the award! I'm going to be using the same questions that Jessica gave me! Again thank you Jessica for nominating me! I loved learning more about you! Can't wait to read more of your blog posts. You are definitely deserving of that award. You've got good custom writing skills. No wonder that your blog has a lot of followers. 10 Things I Love About Traveling!